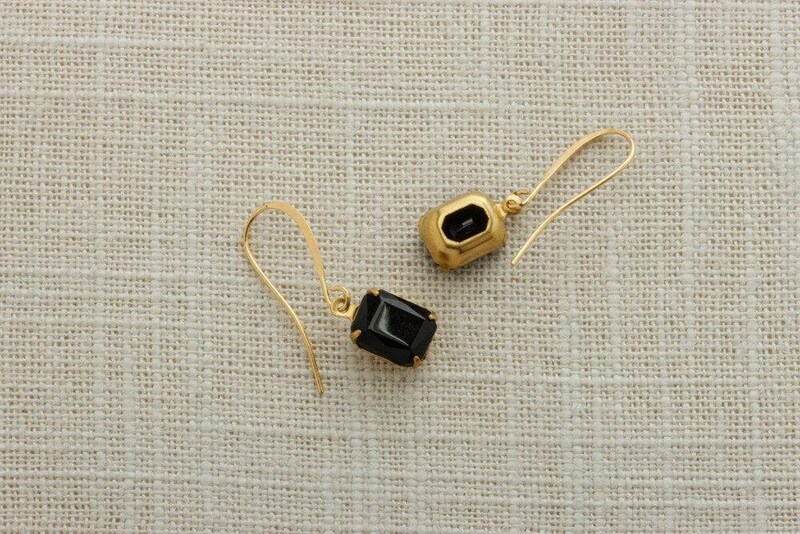 A super sophisticated choice in gold and rich black. 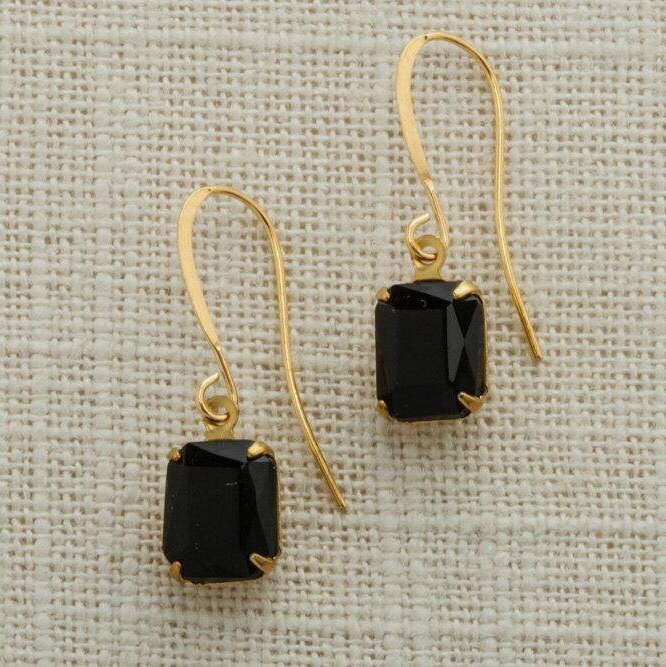 These gorgeous drop earrings hang from a pretty gold tone metal french hook. Super elegant emerald cut rectangle shape. All stones and metals are non-precious. Be sure to visit our shop, filled with gorgeous vintage and handcrafted in the USA jewelry and accessories. We are happy to offer worldwide combined shipping. In the US, once you add the first item to your cart, most others will ship free. Additional items will ship at a discounted rate for all other countries. Your earrings will ship via USPS the same day or next business day. International buyers: please check your country's import duty fees. Vintage Diehls is not responsible for customs, duty or import charges.